Assists in planning, implementing and supervising all field project related safety programs and policies. Qualified candidate will posses exceptional leadership and communication skills to procure the highest level of cultural safety awareness throughout the organization. Provide unwavering leadership for safety in the organization; work to control and eliminate hazards of the working environment; support field crews in all aspects of safety, employee engagement in safety; and support the safety goals and objectives of the Company. Trains field personnel in OSHA and company policies and procedures. Conducts all aspects of new employee orientation and training programs for field employees. Participates with project management and field crews in pre-planning job site safety activities. Enforces safety policies to include advising on, and facilitating employee disciplinary actions as warranted. Conducts and documents site safety inspections to ensure compliance with safety and health programs; identify unsafe working conditions; initiates corrective actions; completes detailed safety audit reports and distributes to appropriate parties. Conducts timely incident investigations and RCA (root cause accident) investigations as needed; files all appropriate reports and communicates with management as needed. 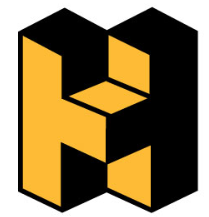 Maintains a working knowledge of the latest developments in construction industry safety field; develops safety training/education programs and implements those programs in a comprehensive and professional manner; documents training and education programs per Hooper Corporation system requirements. As required, acts as OSHA liaison to outside parties, insurance representatives, etc. Coordinate and facilitate regulator (OSHA) inspections to include preparation of written appeals in response to citations. Performs additional assignments as directed by the Safety Manager/Direct Supervisor. One to five years construction or industrial safety experience with strong interest in safety field. Working knowledge and ability to enforce all federal, state, local and Company safety regulations. Knowledge of OSHA 1926.269 Subpart V Electrical Power Transmission & Distribution desired. Ability to recognize unsafe or hazardous working conditions and implement corrective measures as necessary. Strong interpersonal and group presentation skills required. 80% field construction site work and 20% office environment; performs safety related tasks in all weather conditions. When in the office, regularly works from a sitting position with a computer. Repetitive typing and computer use required. Regular bending, twisting, and light lifting is common. Drive short, medium, and long distances. Travel with overnight stays required. Extended or non-standard hours as required.